Hoodie Allen is a man of the people. A couple weeks before the release of his new album The Hype, Hoodie was crisscrossing the country to spend time with three lucky fans, who hung out with the 29-year-old rapper before getting an exclusive preview of his new album. That type of up-close and personal fan interaction (captured in the video above) might appear performative or insincere coming from many artists. But for the self-proclaimed “King of Fans,” it’s just another day living the life he’s always dreamed of. 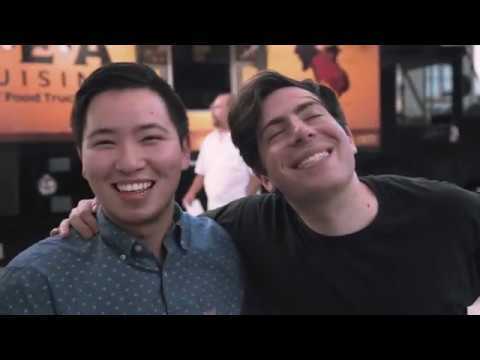 The idea of connecting with fans directly is a decidedly 21st century one and Hoodie Allen is enjoying a distinctly 21st century career. After graduating from Penn in 2010, he took a job with Google and moved to the Silicon Valley. But music beckoned and he soon decided to trade a career with one of the world’s most coveted employers for the markedly less glamorous job of starving artist. The gambit paid off. Five years after the release of his debut EP All American, Allen’s songs and videos have racked up tens of millions of plays, making him one of the most successful independent rappers working today. After his last album Happy Camper topped the Billboard Rap Chart following its release in January 2016, the major label offers came rolling in. But to Allen, the attention was more flattering than enticing. Some of those challenges are covered on The Hype, which Allen says is loose narrative about his career from 2012 to the present day. That might sound slightly tortured but with its warm, languid melodies and Allen's clever punchlines, The Hype is just as breezy and fun as Hoodie's past albums. One of the album's highlights is "Know It All," a bluesy ballad that finds Allen "channeling my inner Alabama Shakes," he says with a laugh. "It came out of a jam," Hoodie says of the song's genesis. "Someone was playing piano, someone was on the drums and someone was playing guitar and I just sort of like to freestyle, turn off my brain and just freestyle melodies and ideas, whatever comes out from what I hear. And before you know it, we’re like 'OK, we think we have a good formed version of this demo, scratch version of the beat, I’m gonna get on the mic, I’m gonna sing, just run me freestyle-wise.' So that whole song….it started as a freestyle, singing emotion. I hope and I think that some of that comes out in the rawness of it." Allen is hitting the road this month in support of the new album and like he did on his last tour, Hoodie is planning a series of videos chronicling their adventures. "I’m a big YouTube watcher and fan. I know I gravitate toward a certain type of content," Allen says. "And I know that tour content in general can be so similar, basically a big advertisement for the show. I’m definitely trying to think of ways to be a little more outside of the box with it and cater to what fans want to see. And I think some of that is including fans in the videos, for sure. And including a lot of what really happens. Because I think people are interested in what happens not only on stage and seeing the show but also, 'who is this person and what is their life like?'" The videos might provide a glimpse into his world but his celebratory live shows are the best way to get the full Hoodie Allen experience. Having used women's undergarments as a jump rope and tossed himself out into the crowd in an inflatable raft, just what does Hoodie have in store for his fans this time? "I’m planning out some new ideas as we speak, but you know what? The classics always seem to be classic," he says. So although fans may have to wait to see what surprises Hoodie has in store for this tour, they already know one thing: Hoodie has no problem coming through with classics. 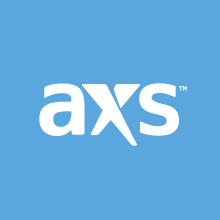 Hoodie Allen launches The Hype tour Oct. 10 in Columbus, Ohio; click here to get tickets to select shows on AXS.com and visit his official website for a full list of U.S. and international tour dates.